The Middle School athletics program focuses on leadership, hard work, discipline, sportsmanship, teamwork and fun. Daily sports classes hone the basics, drill team strategies and develop expertise in various sports like volleyball, flag football, basketball, baseball, soccer and Ultimate Frisbee. 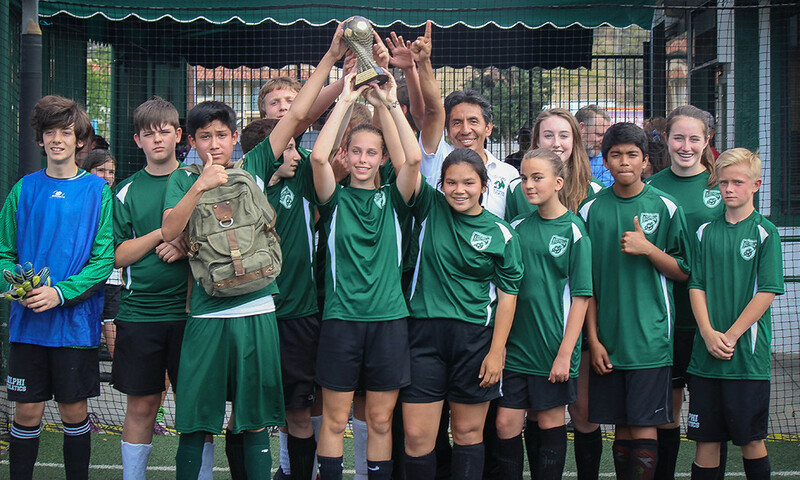 As a member of a local private school sports league, Middle Schools students compete with other schools in the fall and spring. Graduates from the Middle School athletics program have a strong understanding of the basics, can run five miles, can perform various strength and conditioning exercises, have excellent sportsmanship and leadership skills and are ready to compete at the Middle School Varsity level. Seasonal activities include archery, swimming, hiking, biking and horseback riding.